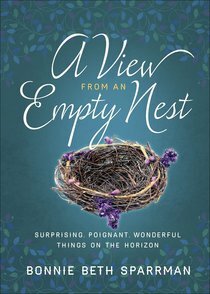 About "A View From An Empty Nest: Surprising, Poignant, Wonderful Things on the Horizon"
Bonnie Sparrman is an author, teacher, speaker, and nurse. She has worked as an OB nurse and Parent Educator in several different cities in the U.S. Her books include Meditations for Mom...Simple Reflections on Grace, Faith, and Motherhood and Baby Blessings...Gentle Words of Faith to Encourage Mothers of Newborns . Bonnie also teaches culinary classes and leads team building events for large multinational companies.